HDL and LDL levels show up on what the doctor calls a lipid panel. Then the total cholesteral level is known by adding the two together. 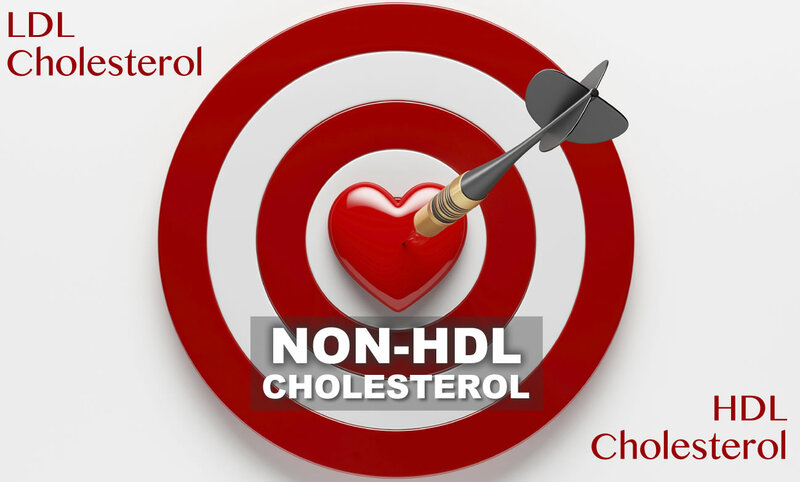 HDL is considered "good" cholesterol and LDL is considered "bad" cholesterol. Understanding what the good and bad cholesterol does and how to increase the good and decrease the bad is the first step to regulating cholesterol levels. LDL is known to settle in the walls of arteries and heart tissue which causes clogging. The reduced blood flow makes the heart work more, and can lead to a heart attack. LDL levels of 100 milligrams per deciliter or below is optimal. When LDL gets above 120 milligrams per deciliters, doctors start to worry and suggest diet and exercise changes. The best practice is to keep the LDL values as low as possible. What Else Does LDL Do? It has been discovered that LDL inhibits the rate of fat breakdown in the body. Thus LDL levels that are high can discourage the body from losing weight by restricting fat processing. This effects the homeostasis and leads to other problems. HDL is the good cholesterol. 60 milligrams per deciliter or above is optimal. Typically the more HDL, the better. HDL is a transporter of fat and helps remove it from the body. It also helps filter bad cholesterol out. Its been shown that the HDL levels increase and LDL levels decrease when people eat right and exercise. The key to maintaining a healthy level of good and bad cholesterol is to exercise and eat right. Exercising 30 minutes a day, three to four times a week will reduce cholesterol issues and have a strong effect on the body and mind. Learning to choose healthier foods will complement the exercising. This typically means reducing the intake of red fatty meats and increasing fruits and vegetables, as well as non-processed grains. Another diet tip is to reduce consumption of high amounts of processed sugars. This includes reducing the number of artificially sweetened soda pops and drinking more water. Water helps HDL attach to fiber and leave the body. Last but not least, the New England Journal of Medicine shows that studies indicate exercise is required, regardless of diet. The basics remain: eating right and exercise are the main way to stay healthy. With any diet and exercise suggestion, balance is the key. Consult a physician before starting an intense exercise regiment.